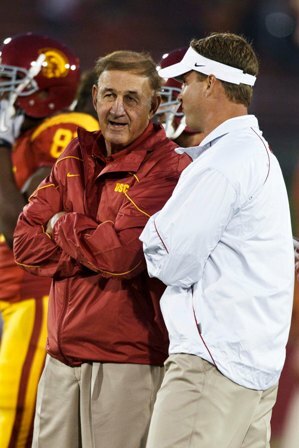 Monte Kiffin announced last week that he will resign from the USC coaching staff after the Sun Bowl vs. Georgia Tech. He will look to pursue opportunities in the NFL. You can also click here to listen to Monte talk about his decision to leave on ESPN radio with Mark Willard and Ramona Shelburne. Monte is a class act and we wish him the best.